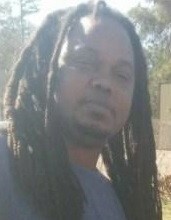 Mr. William E. Vereen, age 44, of 317 Early Street, Fayetteville, NC departed this life on Sunday, November 4, 2018. Memorial Services will be held on Saturday, November 24th at 3:00 PM in the Wiseman Mortuary Chapel. He leaves to cherish his loving memories: mother, Valisa Vereen; sons, Julian Jermaul Brown and William Vereen; daughter, Singrid Crow; grandmother, Jenny Vereen; companion, Tracy Fishman; one grandchild,Luna-Marie Rose Brown; and a host of other relatives and friends.